Source | Theodore Parker, "Caution!! 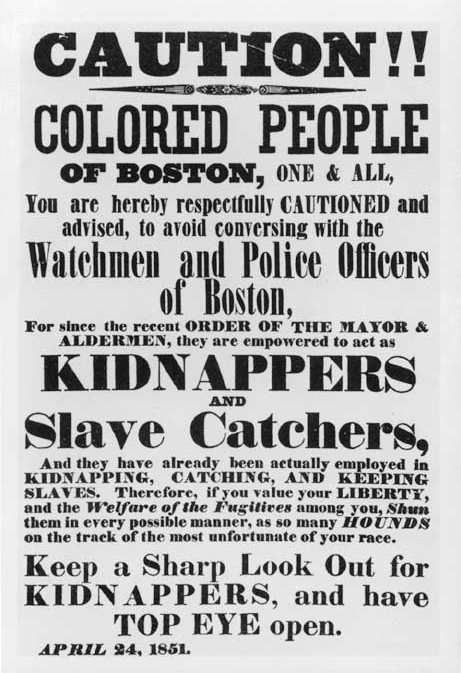 Colored people of Boston," poster, 1851, Boston; from the Library of Congress, http://hdl.loc.gov/loc.rbc/rbpe.06002200. Cite This document | Theodore Parker, “Boston Abolitionists Warn of Slave Catchers,” HERB: Resources for Teachers, accessed April 23, 2019, https://herb.ashp.cuny.edu/items/show/1213.